of Realtors rally in Bushnell Park in Hartford. 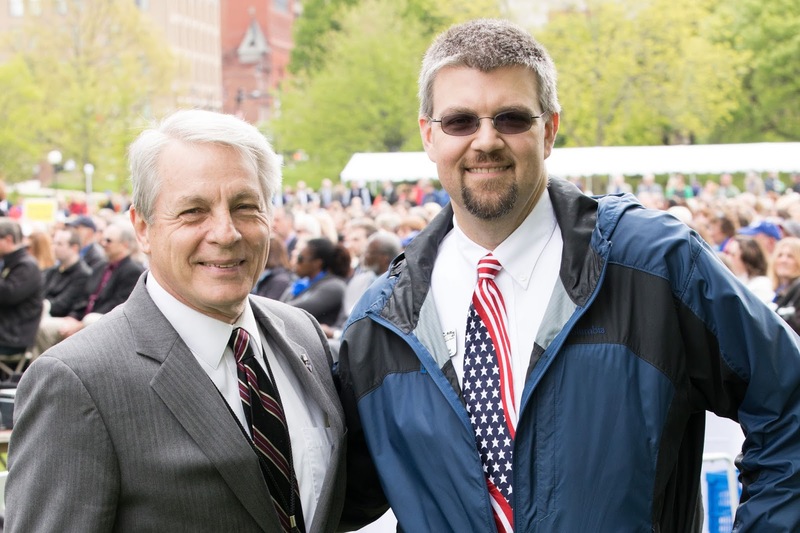 Sen. Len Suzio on May 9 joined real estate professionals, state lawmakers and UConn Women’s Basketball Coach Geno Auriemma for a May 9 rally in Bushnell Park in Hartford. The Connecticut Association of Realtors hosted the rally to urge state lawmakers to “give us a Connecticut we can sell” as they craft a new two-year budget. 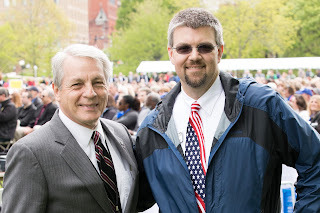 Sen. Suzio commended the hundreds in attendance for speaking out for pro-business, pro-taxpayer solutions to Connecticut’s budget problems. He noted that Republicans have put forth a thoughtful alternative budget plan which includes no tax hikes and is not balanced on the backs of property taxpayers. * Sen. Suzio, who serves on the legislature’s Finance, Revenue and Bonding Committee, represents Cheshire, Meriden, Middlefield, Middletown and Rockfall. He can be reached at Len.Suzio@cga.ct.gov or call 800-842-1421. On the web: www.SenatorSuzio.com.